Recently Mother Nature has been giving Siouxland residents a roller coaster ride with temperatures going from extreme cold, to warm and extreme cold again. But visually it’s a break during the winter months, as well as a nice break to get outdoors without wearing 10 layers for warmth. 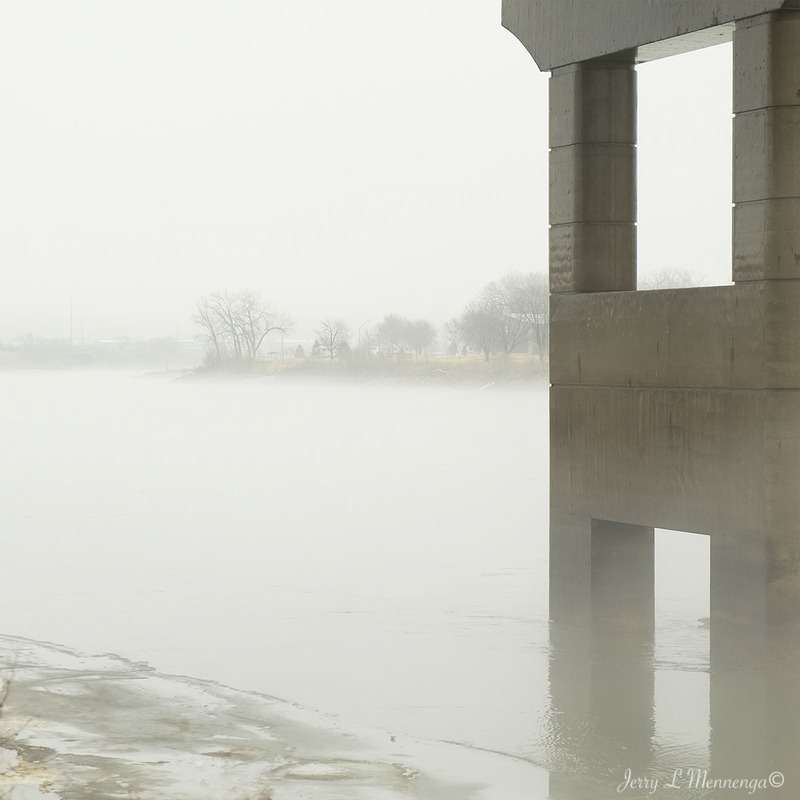 I attended a presentation about wildlife photography recently and spent a few moments on the walking path nearby and enjoying the warmer temps and the fog created as it rose off the Missouri River. Not one anymore for being out in extreme cold, it was nice to spend a few minutes enjoying some fresh air and creating some images that don’t always occur. But Mother Nature has more in store yet this winter, and sometimes one needs to be patient to enjoy it. This time of year brings a continual change of weather. One day it will be sunny, blue sky, possibly windy and the next, colder temps, rain, maybe even snow, and sometimes fog. 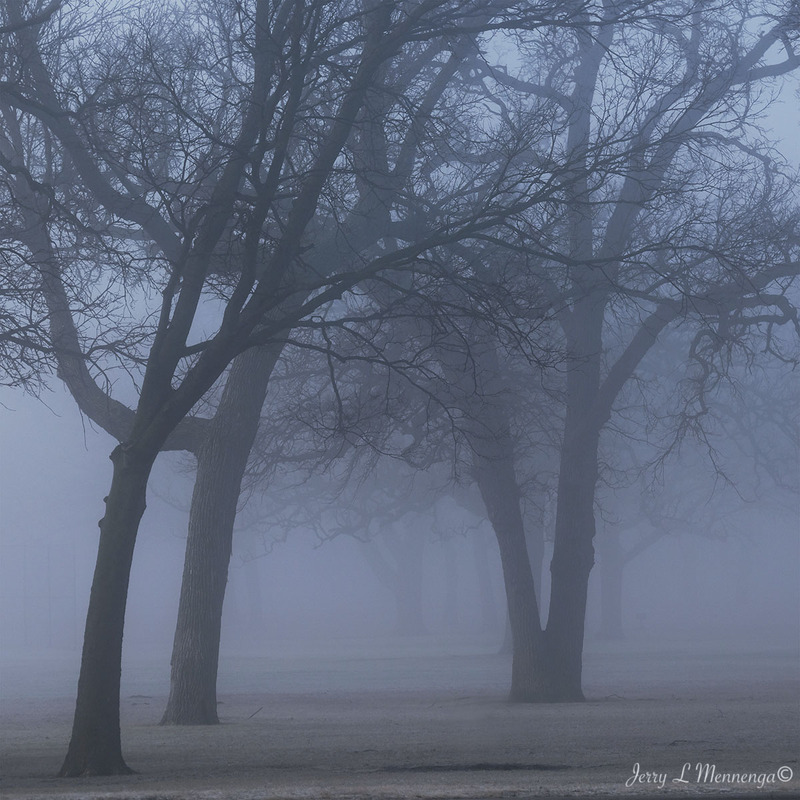 And so it was the earlier in the week that fog descended on Siouxland making it treacherous for early morning drivers getting to work, but absolutely gorgeous for those looking for a different set of images to photograph. 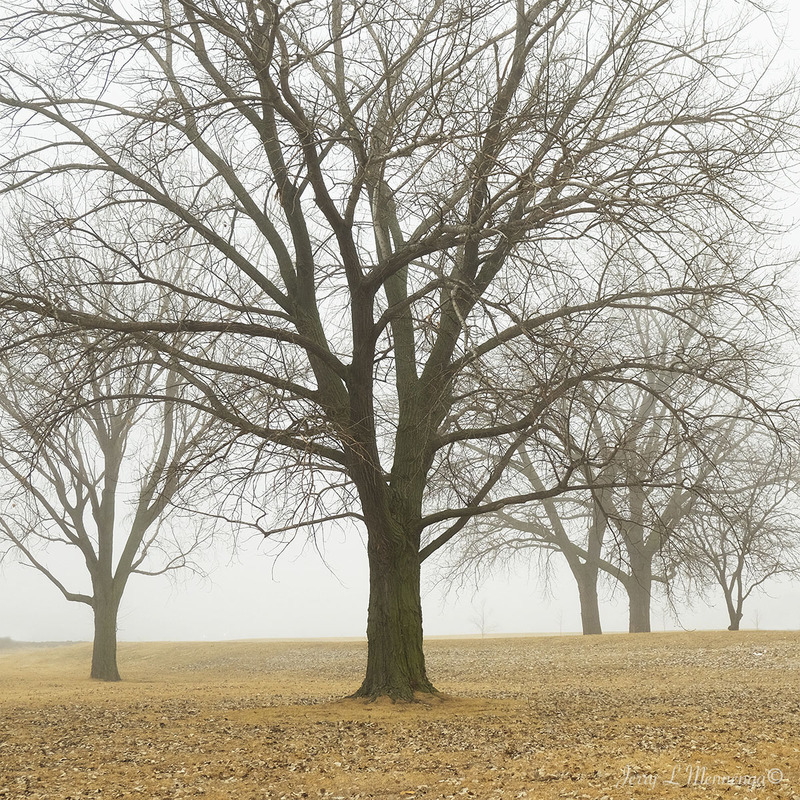 I opted to stay safe, and rather than driving about to find images to shoot in the fog, I went to Bacon Creek Park in Sioux City, Iowa, to walk its trail. Almost like stepping back into time, a walk through a primordial space. The only chatter to hear was birds making a ruckus. And the sound carried for through the quiet woods for quite a distance. 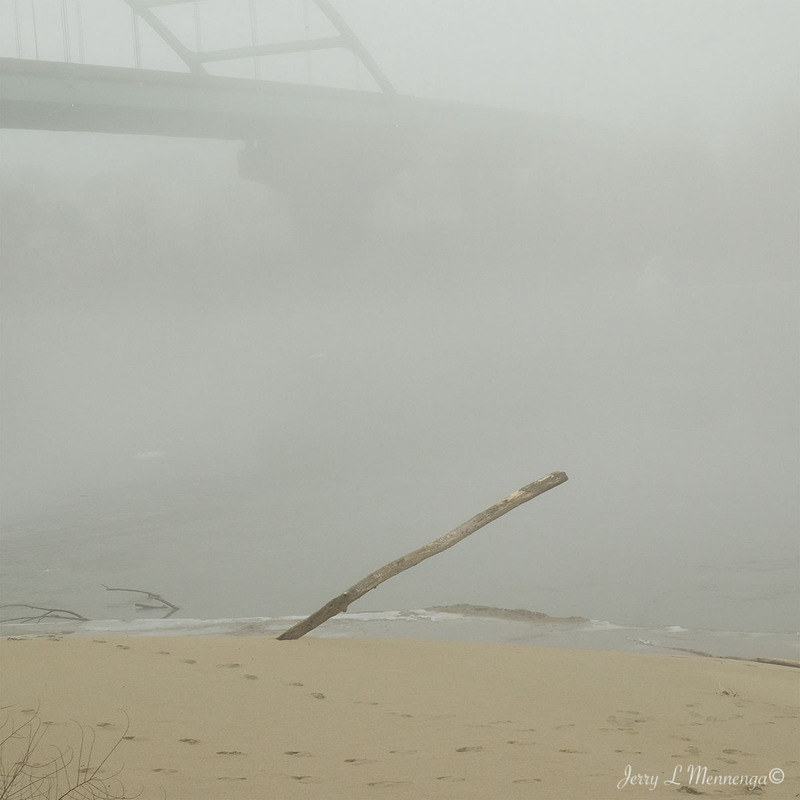 The fog seeming to amplify the sound. It was almost magical and a nice way to spend a morning. 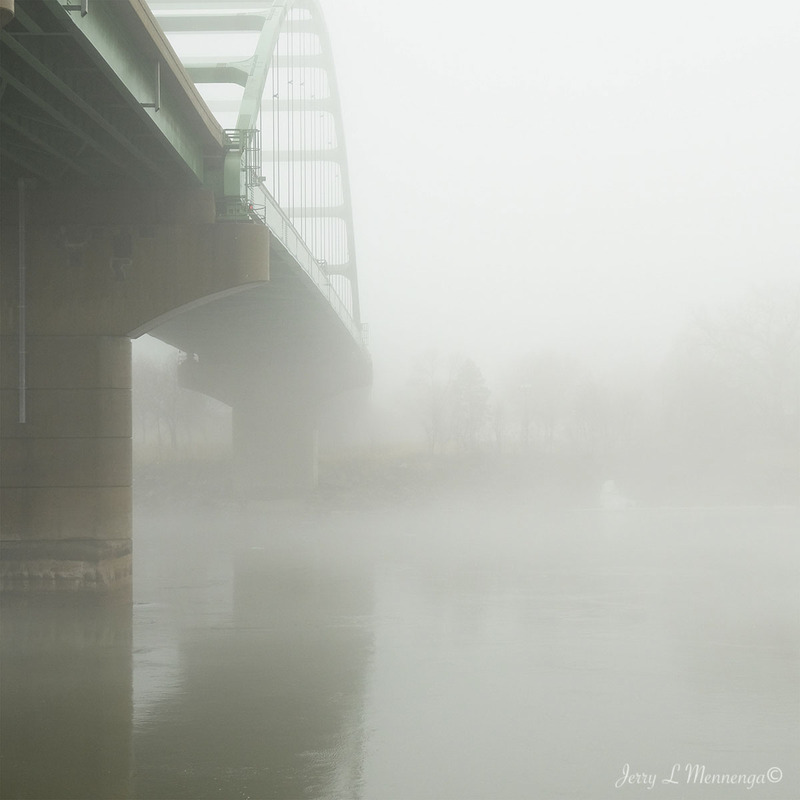 The other day started out with a little fog as these last days of February seem to vacillate between warmer than normal and normal temperatures for this time of year. People in a hurry were confronted with slippery streets early in the morning from “frozen” mist. But those not in a hurry could enjoy the fog and a quiet-felt day that this weather effected. 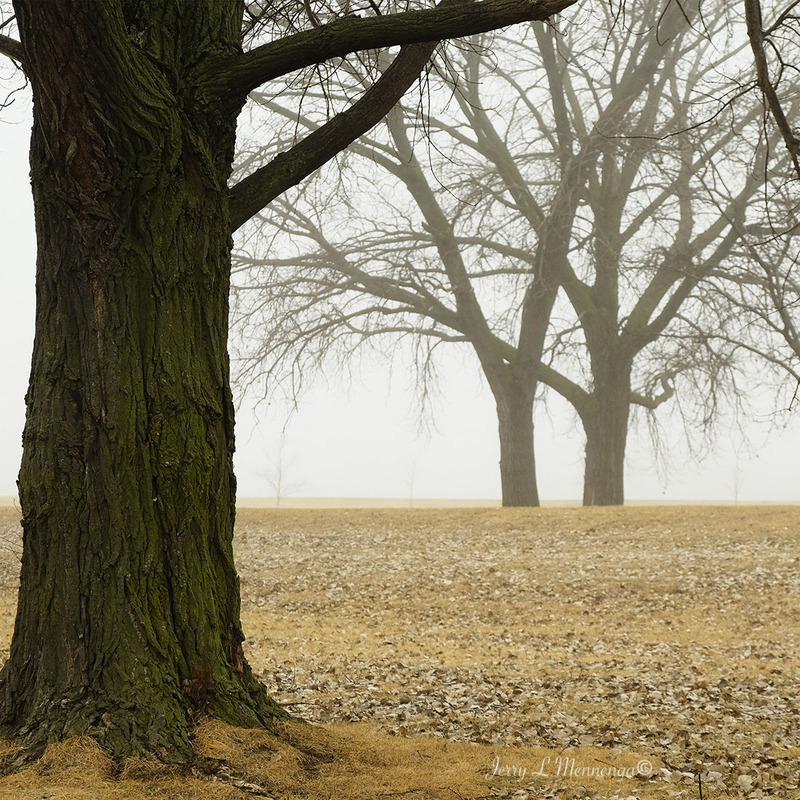 I like this moodiness and found a few scenes at the campus of Morningside College nearby. But alas, I long for those sunshine days that are bright on the eyes. But the good thing is these warmer than normal days are helping turn the recent 14 inch blizzard into a memory and moisture for lawns. Recently the Siouxland area got a nice snowfall, 10 inches. And while to some that is 10 inches too much, for others, it was a pleasant diversion to an almost snowless winter. I personally like to snow shoe, and this past snowfall was light, powdery and excellent snow to venture out into. And I did that over the weekend at Stone State Park. I was hoping for more snowfall this week, but it looks like this coming snow storm that is hitting the Plains states, will miss us here in Northwest Iowa, while giving Des Moines and points south a little more snow. 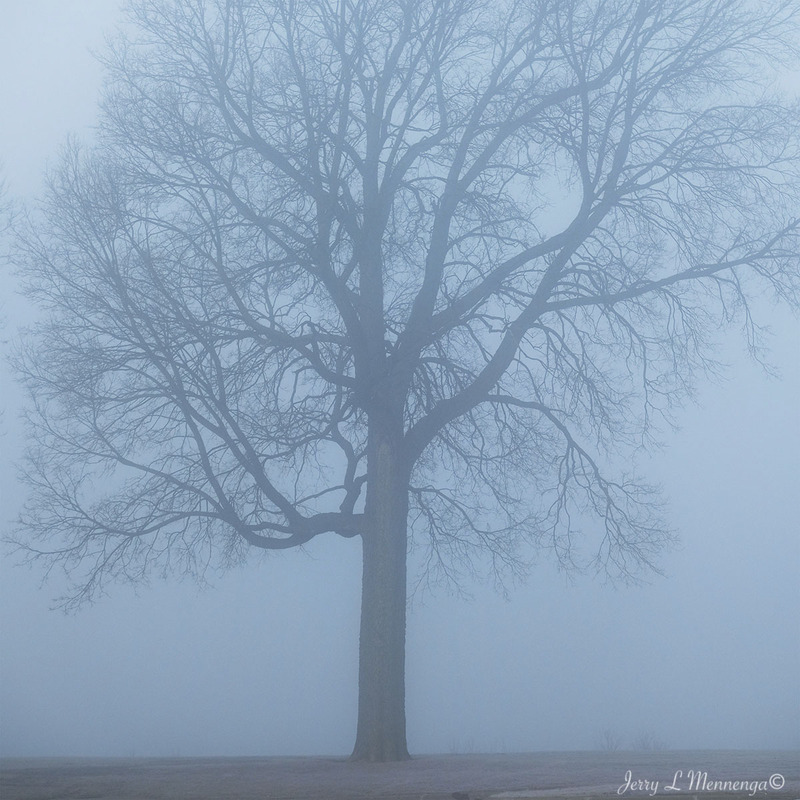 And while the weather this winter doesn’t seem a bit off anyway, this past weekend it was also very foggy. The nice temps gives one an early taste of Spring Fever, and that is welcomed too. I just hope it brings a few showers for those later flowers and not leave the area high and dry. The winter weather is still a little wacky as a fresh round of snow is dumped along with warmer temps and fog.